News & updates about your Housekeep members account and other exciting news, like our attendance at various startups awards ceremonies in London! Written by Henry on 1 Mar 2019 in Inside Housekeep. Last update on Fri 1 Mar 2019 . Here at Housekeep we received some fantastic news today, courtesy of the Financial Times! Housekeep has been officially named Europe's SIXTH fastest growing company in the 2019 FT 1000 list of Europe's fastest growing companies! Is a cleaner worth it? Written by Henry on 14 Feb 2019 in Inside Housekeep. Last update on Thu 14 Feb 2019 . Is hiring a cleaner really worth it? Written by Rhiannon on 17 Jan 2019 in Inside Housekeep. Last update on Thu 17 Jan 2019 . Everywhere in life feedback is important - we're all great, but none of us are perfect, and there's always room for growth. Written by Henry on 3 Jan 2019 in Inside Housekeep. 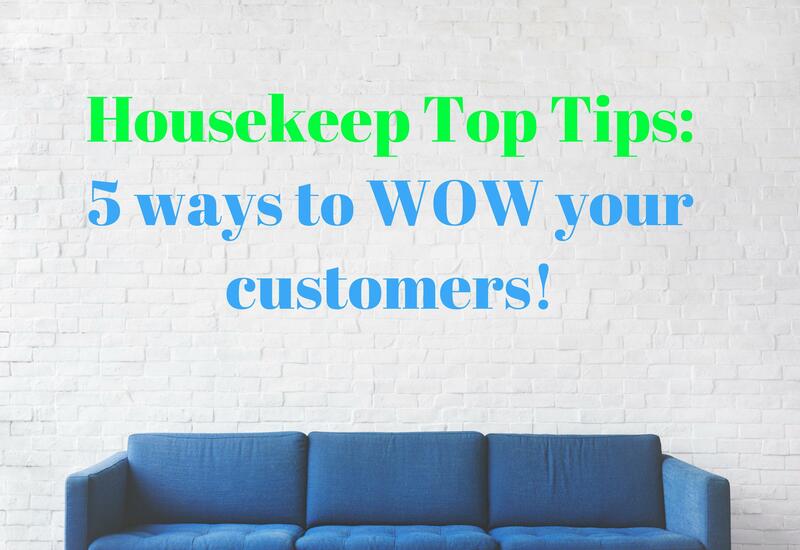 Here at Housekeep we love bringing on fantastic new cleaners in London to our platform and we meet lots of great cleaners every day. All the people who come to meet us are looking for home cleaning work in London and we're able to help them right away! Written by Henry on 20 Dec 2018 in Inside Housekeep. Last update on Fri 21 Dec 2018 . It’s been another fantastic year for the Housekeep team and after 12 months of hard work we feel that now is the perfect time for a little reflection. Written by Henry on 13 Dec 2018 in Inside Housekeep. Last update on Thu 20 Dec 2018 . Written by Henry on 12 Nov 2018 in Inside Housekeep. The Housekeep platform makes it simple for experienced domestic cleaners to find regular customers in their area within just a few clicks. Written by Henry on 5 Nov 2018 in Inside Housekeep. We're very happy to announce that Housekeep has been nominated in the 'Property' category at this year's Good Web Guide awards on 12 November. The Good Web Guide describes the ceremony as 'rewarding the very best the web has to offer' and we're glad to be considered amongst some other top talent across the event. Housekeep wins Small Business of the Year! Written by Henry on 1 Nov 2018 in Inside Housekeep. We were thrilled last night to be crowned Britain's Small Business of the Year at the British Small Business Awards. The judges were looking for the small business (of 10-50 employees) with the most innovative and sector-disrupting service/product, alongside strong turnover-growth over the past year.